Learn how to draw realistic ears by learning how to add shadows to the right places. First we will show you how to sketch out the ear by blocking in the shapes…then we will show you how we shadow ears. Have fun! (Step 1) Lightly draw 2 lines on a slant. 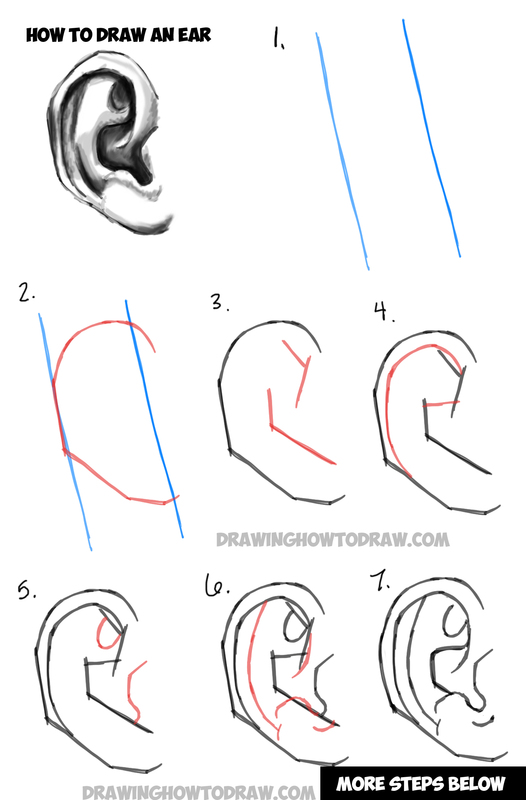 (Step 2) Use those lines to sketch out the outer ear. 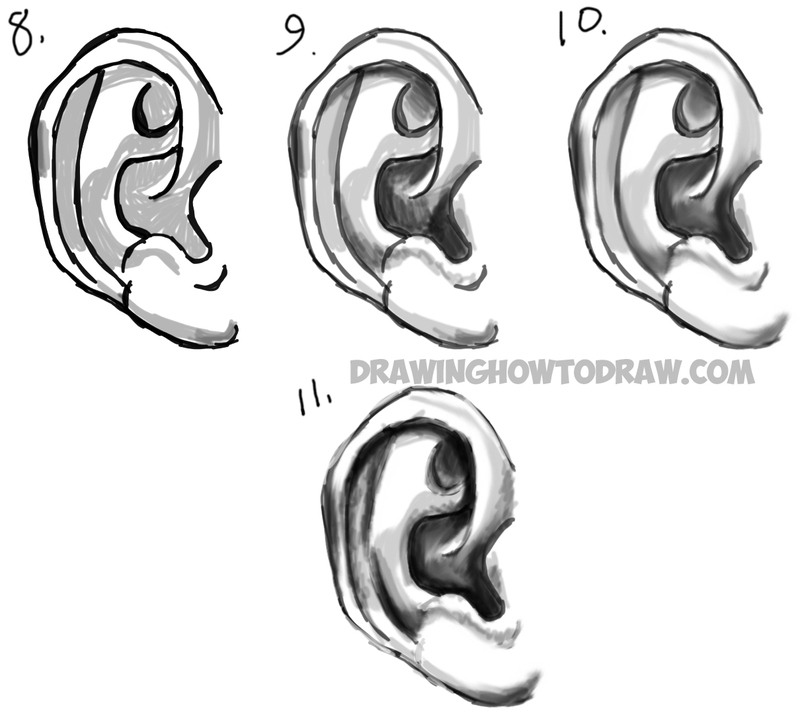 (Step 3-6) Lightly sketch out the inner ear. (Step 7) Fix up the lines so that they are a bit curvier. (Step 8) Add the lightest shadows. (Step 9) Add some of the darker shadows. The further you go into the ear, the darker it gets. The parts that are out the furthest, gather the most light. (Step 10) Smudge the shadows together to make it more graduated. (Step 11) Any lines that are really dark (that aren’t shadows, erase them a bit, you don’t want to see sharp lines. Then just darken up the darker areas a bit more to make it a sharper contrast.